Researchers in Amsterdam have developed an app to beat vertigo that they say is just as effective as a course of therapy. The app, known as ZeroPhobia, is based on the techniques of exposure therapy, a form of cognitive behaviour therapy (CBT) that gradually allows people to confront their fear of heights. 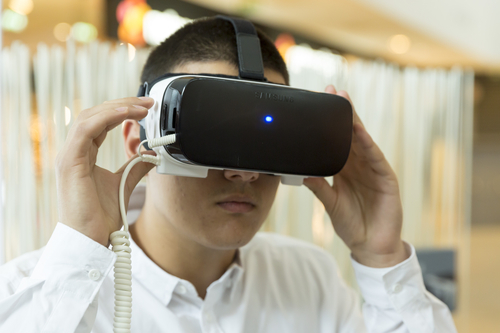 Users create a VR headset by putting a smartphone in a cardboard holder and strapping it over their eyes. They then view a series of images that simulate the effect of looking down from heights. Researcher Tara Donker said the results were comparable to conventional therapy, but at a fraction of the cost. ‘We can offer CBT for phobias without the intervention of a therapist, just with the patient’s smartphone and a VR set that costs less than €10. Details of the study have been published in the scientific journal JAMA Psychiatry.